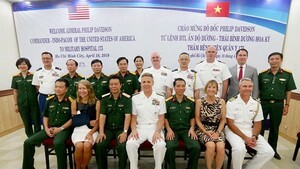 African Swine Fever virus is sweeping through the northern province of Vinh Phuc, the twenty-third infected province in Vietnam, said the Ministry of Agriculture and Rural Development’s announcement at the meeting on March 27. 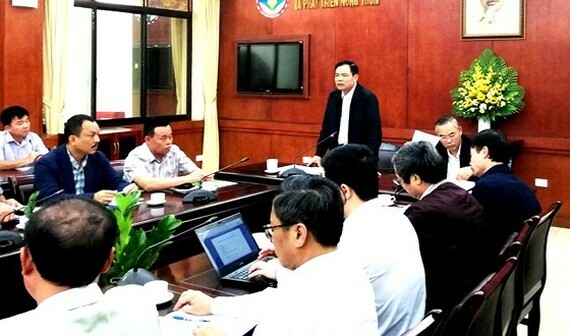 476 communes of 91 districts in 23 cities and provinces have reported outbreaks and about 73.000 pigs have been culled so far”, the Department of Animal Health announced at the yesterday meeting between Agriculture Minister Nguyen Xuan Cuong and representatives of big farms in the country. Meanwhile there is currently no vaccine or known cure, weather in Vietnam is conducive for the virus spread, the Minister urged big livestock corporation to protect their cattle by all means. Presently, these corporations are not only providing safe pork meat for the market but also keeping breeding animal. Once these big corporations are infected with the contagious virus, there will not enough meat for the market and for re-raising. The Minister proposed animal biosafety and biocontainment and close monitoring to prevent the virus hitting corporation’s farms.